Weight loss can be as easy as asking yourself the right questions. Hey, this is this last article of a 3-part series. You can continue reading this post or start here: Part 1 — 5 Reasons You Think You Are Not Losing Weight. And here’s Part 2 — 5 Reasons You Are Probably Not Losing Weight. #1 Am I losing body fat instead of bodyweight? Everyone is trying to lose weight. Unfortunately, most people don’t know the difference between weight loss and fat loss. Using these terms interchangeably is a problem because losing weight and losing fat are not the same thing. Weight loss is when you want to lower your bodyweight. Your body weight is the total of your bones, organs, muscle, body fat, and everything else that makes up your body. Fat loss is when you want to lower your body fat. Your body fat is the amount of fat on your body. There are recommend healthy ranges for both your body weight and your body fat. If you want to lose weight — you probably have too much body fat also. That’s why it’s essential that you understand this at a fundamental level. It’s hard to know what is going on when you only rely on the scale. Scales are irrelevant because two people who weight the same can have different amounts of body fat and look different. (Note: this is why the BMI, body mass index, still used by doctors is flawed. It doesn’t account for body fat). Carbs and water play a massive role in this because carbs bind to water. When you eat fewer carbs, you lose water, and the scale shows you’ve lost weight. (Note: this is how most diets hook you in the first couple of weeks. You’re only losing water, not body weight and not body fat). If you eat more carbs (think beer and pizza), you retain water, and the scale reflects weight gained. But it’s mostly water. You can gain muscle while you are losing fat. Especially if you are new to your healthy lifestyle change (proper exercise and diet). The scale will reflect little to no difference because your body weight is similar. While your body composition, or body fat, probably has changed. But you can’t know that if you don’t measure and track it. Numbers don’t lie (unless it’s the scale). A few other numbers to track to give you a more well-rounded picture of your progress: body fat calipers, clothes, mirrors, and well, pictures. Why is it important to know you are losing body fat when losing body weight is your goal? Think skinny-fat. You know those people who are thin, but still soft? That’s skinny-fat. If you don’t measure you may end up losing muscle (which is body weight), but not body fat. Because muscle takes up less space than fat, you’ll look slimmer when you build muscle. Get strong. Resistance training builds muscles and prevents muscle loss. Avoid doing cardio if you are not strength training. You will end up skinny-fat. Eat appropriately. You most likely know what this means, but the key is doing it. Check out these starter kits if you need a reference (for men and women). Stop weighing yourself daily because the fluctuations will mess with your head. To keep your motivation, weigh yourself every two weeks instead. Hop on the scale every two weeks. You won’t see much change week to week. If you don’t measure enough, you won’t be able to adjust your program in time to keep you on the right track. You’re beautiful — stop looking in the mirror. You are almost incapable of seeing yourself the way you are. These self-image issues alter your perception. Instead, take full body pictures (every 2 to weeks) and compare them to old ones. Track your body fat. Buy a body fat caliper. Use it every two weeks. Here’s a quick how-to-guide (video). Track your measurements. Take body girth measurements regularly of your arms, chest, hips, thighs, and waist. (Hint: you want your waist to decrease, and the rest will increase). Take pictures. Take full body pictures from your feet to neck, of your front, back, and side every two weeks. Compare old images to new pictures. Log your workouts. Keeping stats of your strength will show you are putting on muscle. Remember strength training builds muscle and prevents muscle breakdown. Take compliments. People will talk. You just have to listen. Don’t react to what they say — just notice. And realize how your clothes fit differently. #2 Am I eating too many calories? How many calories do you think you should eat a day? As a nutrition coach, I get to ask this question often. Anecdotally, I’d say about half of the people, I ask, are in the ballpark for how many calories they should eat daily. This is backed up by a survey taken by the International Food Information Council Foundation. When they asked 1,000 women how many calories they should eat, only 43%, or about half, could guess. There’s an obvious problem here: If you want to lose weight (or body fat), then you need to know how many calories you should eat. Imagine you were boarding a plane to take a trip across the country. The catch: the captain doesn’t know the last time they refueled the aircraft. Instead of regular refuels, he’s decided to refuel when they feel like it. I don’t know about you, but I’m pulling the emergency door and hopping off that plane ASAP. I similarly hop out of a conversation with someone when they say they want to lose (or gain weight) but refuse to learn how calories work. While I don’t believe always counting calories is necessary. I do think it’s a great assessment tool that should be used from time to time. I also know it’s possible to lose weight without counting calories, but I still think counting calories is a very effective way to lose weight or body fat, in spite of its lack of reliability. Energy balance is the relationship between the amount of energy you eat and the amount you burn. Think about it like a checking account for your body. If you eat more energy than you burn, you’re in the black — a positive energy balance. If you eat less than you burn, you’re in the red — a negative energy balance. Calories are how we measure the energy you consume and spend. From here it’s easy to see — sustainable weight loss means you have to eat less energy than you expend, over time. This is a scientific fact. However, energy balance is not the entire equation for weight loss. This is why you could eat a “clean” diet and still gain weight. Or you can decrease your calories while eating junk food and still lose weight. Mark Haub, a professor at Kansas University, lost 27 pounds on a diet of protein shakes, Twinkies, Doritos, Oreos, and Little Debbie snacks. John Cisna, a high school teacher in Iowa, lost 56 pounds eating only McDonald’s for six months. In both cases above, the first law of thermodynamics is at play. Eat fewer bad calories than you burn for long enough, and you’ll lose weight. I’m not saying you should try this. I am saying you need to consider more than calories in versus calories out when you ask yourself how many calories you are eating. When it comes to body composition — whether your body fat is low or high, how much muscle versus fat you have — you have to look beyond calories. A calorie is not a calorie. The kind of foods generally breaks down into macronutrients: proteins, carbohydrates, or fats. When people say, they want “lose weight,” what they mean is they want to lose “body fat.” The key is to lose fat, not muscle. And to gain muscle, not fat. Protein: the “most” essential calories. The calories you get from protein influence your body fat more than carbohydrate and fat. Even though I’m sure you’ve heard of the importance of protein, let me back it was some evidence. A high-protein diet is excellent for gaining muscle. Proteins help protect your muscle mass when you restrict calories. High protein diets are better for losing body fat (including abdominal fat). Because protein is satisfying, it helps you stick to your diet. Making sure you have protein in your diet is crucial because it helps your body recover from exercise. I would give some protein recommendations, but that’s an entire article itself. Carbs: are not your enemy, my friend. There seems to be a constant battle; two camps if you will. One for and one against carbohydrates. I also know it’s hard to know what to do with so much conflicting information. Here’s what it comes down to: There are “experts” who say low-carb dieting is a better way to get lean. And there are other “professionals” who think higher-carb diets are better for most people. Here’s my position: All diets work — if you do. For me, because I’m social and I lift weights regularly, I tend to do the “best” with more, not less, carbs. But, I’ve experimented with a “paleo” type diet in the past, and I did see a reduction in body fat. Also, I tend to be a “hard gainer,” so when I’m trying to put in muscle, carbs help a lot. Again, I’m going to have to write an entire article on this sometime in the future. If there’s any you want to know, specifically, send me an email at ambrose@mispibo.com. Fat: the newest diet trend. If you want to get attention — be contrary. When everyone is going low, you go high, and people will notice. But science proved that wasn’t true, so everyone who was going low, went high. And marketers have caught on. Another way to think of it is like a pendulum. After going so far left, the pendulum has swung the other direction. In reality, any extreme diet will be flawed. Thinking about our bodies, nutrition is binary or black and white terms, is a set up for failure. There is no “best” diet. #3. Am I burning fewer calories than I think? The body is more complicated than a simple “calories in, calories out” equation. But still, to lose weight, you’ll need to make sure you are burning more calories than you are consuming. So, if you are burning fewer calories than you think — you have a problem. This question is geared to help you balance out the equation by keeping your exercise, effort, the amount of work you do, in check. I hear people say something like this far too often, “I deserve this [insert high-calorie food or drink of choice].” And when you look at how many calories you burn from one class or run, that would make sense. If you burned 500 calories, you should be able to take in around 500 calories. But it doesn’t work like that for a few reasons. You are not the sum of one workout. Instead of estimating based on daily workouts, look at how many calories you burn weekly. If you think about it this way, you can plan your workouts for the week, just like your meal plan (or should be) for the week too. Every machine at the gym will count how many calories you expend. But before your cheat meal, remember this: those machines are inaccurate. The calculation for calories burned is complex. Those machines have to take your age, weight, heart rate and technique into account. So it does the best job it can — a guesstimation. In order to keep you motivated, most machines estimate that you’re burning more than you actually are. When it’s time to workout, you are a warrior. You get up, you get your mind right and put your body to work. But, you sit around the rest of the day at work. And after work, you sit around the house. Sending an email and watching Netflix from your favorite chair is comfortable. At the same time, when you compare sitting down all day to one 60-minute workout, where are the benefits? Think about how you can get active all day long and not just the hour you have carved out for workouts. The better shape you are, the more your body adapts. On the flip side of a great body transformation is the fact that you start to burn fewer calories. It’s all in the science of efficiency. What you use to do is easier, or take less effort, so your body doesn’t have to work as hard. Know, read, and understand the law of overload progression. You will have to do more to continue getting more gains. If your goal is to lose weight, and you are successful, you are better than you were. And just as #4 here, your body is more efficient after weight loss. It simply takes less energy to do everything! I mean everything; like walking, doing housework, and the workout plan you started a few months ago. While this is good because it’s progress, it also means you may tend not to understand how to continue making progress. As I said, you can work harder. Or you can start to dial in your nutrition and eat fewer calories to make up the difference. #4 Should I move more or eat less? The idea, as I’ve been sharing in this series is to create a calorie deficit. A calorie deficit is just the number of calories you take in, minus the number of calories you burn. That’s where the simplicity stops. The body is a very complicated relationship between your environment, physiology, and psychology. So, I’m not saying “move more, eat less” is bad advice. I’m saying it’s a truthful, high-level view of how you lose weight, but it’s incomplete at best. For instance, if you eat 2200 calories and you burn 2700, you’ve created a 500 calorie deficit that day. When you are trying to lose weight, accumulating a large enough calorie deficit to see changes in the mirror or on the scale takes time. Again, you can look at it from week to week. But follow trends over months. When people hire me they make the false assumption that I’m going to give them some advice along the lines of “move more, eat less.” But I don’t. Why not? It rarely works. We can’t do everything at once. At least not well. And even if we could, why if you don’t have to? If you’re reading this, know one thing: you have to start small if you the change you seek is significant to you. As a personal trainer, people assume the only option I have is exercise. As a nutrition coach, people assume the only option is diet. As a mindfulness coach, well I don’t think people have any idea what that is, yet. But as a health and fitness coach, I have options. And so do you. I leave it up to my clients. You are the expert on you. What do you know works and doesn’t work for you? Most people self-select moving more first. If that’s where we’re starting, that’s the only focus I have until it becomes a habit. Not only a habit but what’s called a “keystone” habit. Keystone habits make developing other good habits possible. It’s like a domino effect. While it’s is slower, it’s still a chain reaction that leads to positive outcomes. For example, if you want to lose weight. You already have the idea that you will have to move more and eat less. Then you decide to focus on moving more, forgetting about the goal to less for the moment. You sign up for a fitness class. You show up at 6 PM and leave the class feeling accomplished about an hour later. Now, it’s time for dinner. What do you do? Stop by a fast food place on the way home? Or make something fresh once you get back? I don’t’ know, exactly. But if you keep the habit of that 6 PM class, you will start to make new, healthy decisions based on your practice of going to the gym. You’ll buy a protein powder or bar, find a new, fast place with salads, or you’ll meal prep your dinners, so you don’t have to worry when you get home. Do you get my point? You have options. Pick one or the other, for now. Once you either move more or eat less habitually, you can start to focus on the other. At some point, your actions will not yield the same results. That’s the sign it’s time to change. The law of diminishing returns is a term borrowed from economics that refers to used a point at when the level of benefits gained is less than the amount of energy invested. In fitness, which is exercise and nutrition, it’s called plateaus. A plateau is when you start to see your results slow or come to a halt. Sometimes the strategy that has brought you success can lead towards a backward decline. This is why it’s nice to have options. Let’s use the example from above where a person is creating a 500 calorie deficit daily. Hypothetically, that person should 1 pound of weight loss weekly. 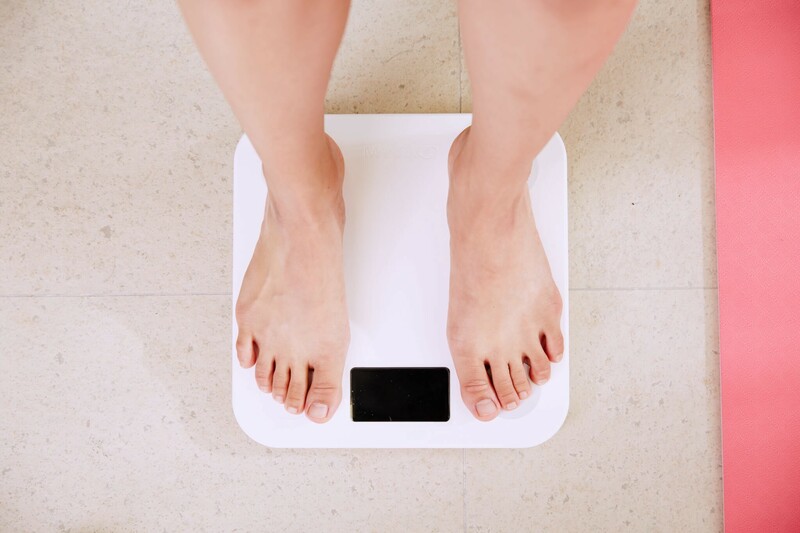 If that happens, for weeks on end, and suddenly the scale is reflecting only half a pound weight loss instead, they have options: move more or eat less. Pretend their schedule is tapped out, they can’t exercise anymore. At this point, the only option is to eat less (could also be stated as eating appropriately). After a review of a 7-day food log, this person sees they are eating closer to 2,500 calories instead of the 2,200 they once thought. Now they can decrease their calorie intake to 2,300 for a few weeks to see if there weight loss trends positively. #5 Is it time to reverse diet? I’m going to continue the stream of thought from #4 where you have someone restricting their calories to achieve a goal. In this case, weight loss. Even though most people’s real goal is to lose weight, they emulate the programs of fitness competitors, powerlifters, and bodybuilders. And rightfully so. We all see how these athletes go from “fluffy” in the off-season to shredded around competitions. In these cases, reverse dieting is used more to combat metabolic damage, an inability to live on a diet, or depression, I think it’s implications can be helpful to the everyday person too. Reverse dieting (admittingly a “bro-science” term) is when you slowly increase your daily calorie intake after a period of restricted eating. When done successfully (regular assessments) you can let your body recover with little gain in body fat. Again, this strategy is used by competitive bodybuilders and weightlifters. But here is why it’s essential for you: eating a low-calorie diet is not realistic for the majority of people long-term because it affects your health, happiness, and hustle. If an athlete has used a restricted calorie diet for a prolonged time, their metabolism adapts and begins to work more efficiently. Remember? That means they are also not burning as many calories as they once were. Their body will then store more calories as fat if adjustments aren’t made. The main reason is to bring yourself back to a maintainable calorie intake after a prolonged period of losing weight. It’s a good way for anyone (athlete or not) to slowly increase food intake to what’s called a maintenance level. Secondly, after a while, it’s hard to lose weight and build strength and at the same time. Slowly adding a few more calories to your diet will result in more weight on the bar. Gaining muscle is beneficial for feeling good, looking better, and performing at your best. This next point is counterintuitive, but again, the body is not as simple as a math equation. Reverse dieting may accelerate fat loss, getting you off the fat-loss plateau after dieting. There are hormones that are critical to fat loss like leptin, testosterone, and T3 that become down-regulated when you diet for a long time. A systematic increase in calories will increase metabolic output and thermogenesis (the production of heat within the body). These critical changes will allow you to burn more energy because more energy is available. While there is little research, is around metabolic capacity, it’s worth questioning. Can we “stretch” how many calories we consume while maintaining a specific weight? When “bulking” athletes increase calorie intake to get stronger, not just bigger as the name implies. Along with the extra size and the weight comes body fat. If you can reverse diet effectively, you’d be able to reap the benefits of increased strength because of the availability of energy without the unwanted increase in body fat that comes with bulking. The initial question that prompted this series: why am I not losing weight? The real question is: why am I not losing weight fast enough? The key word here is: fast. In my experience, people become too concerned with how fast they are losing weight. On top of that, they don’t understand how fat loss works. I hope these articles help you better understand how to lose weight whether you want quick gains or sustainable weight loss. Please add any questions, comments, or suggestions. I’ll be re-editing and updating this series sometime in the future. If you want to read more, join my (almost) weekly newsletter, Winner’s Circle by clicking here.